Notice: No flammable stuff are allowed on the ship when transporting the walk behind laser screed machine, so there will be no engine oil(and gasoline) in the engine when you receive it. You will need to fill it up with 15w-40 type of air-cooled engine oil. 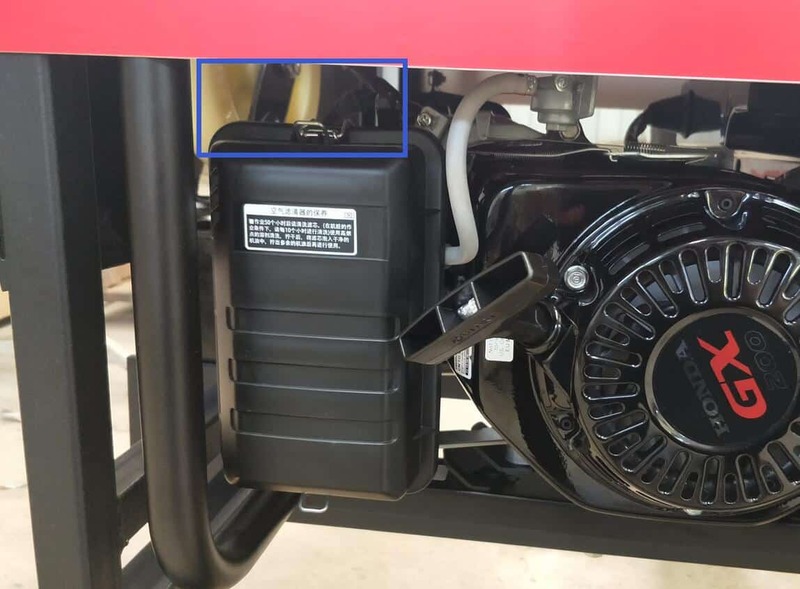 If you don’t have that kind of engine oil, you can also use other types of air-cooled petrol that can be used on a gasoline generator, but it has to be AIR-COOLED type of petrol. The amount of engine oil for this machine is 0.6-0.8L. a. Open the machine key, open the engine throttle, pull the starting rope of the generator, start the engine and close the throttle. b. 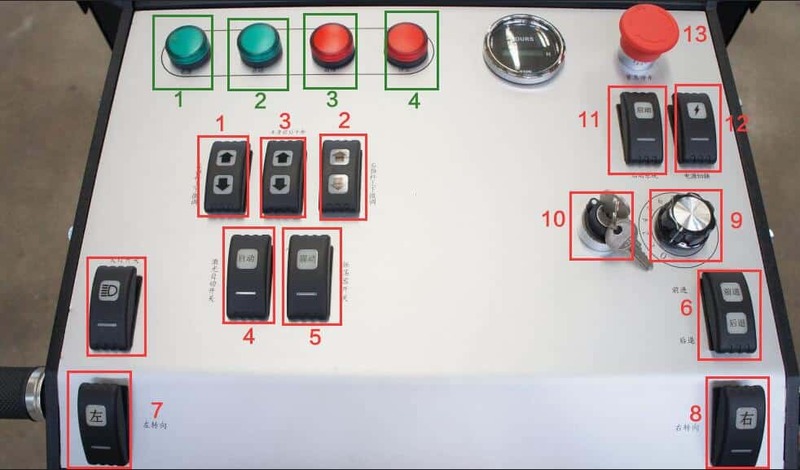 After the engine starts, click button 12 (power switching button), light 1 turns on and leveling head control system is available (button 1/2/3/4/5 is available). c. Then click on button 11 (walking start switch), light 2 turns on and walking steering system is available (button 6/7/8/9 is available). 3. Plug device on wheels of the walk behind laser screed machine. 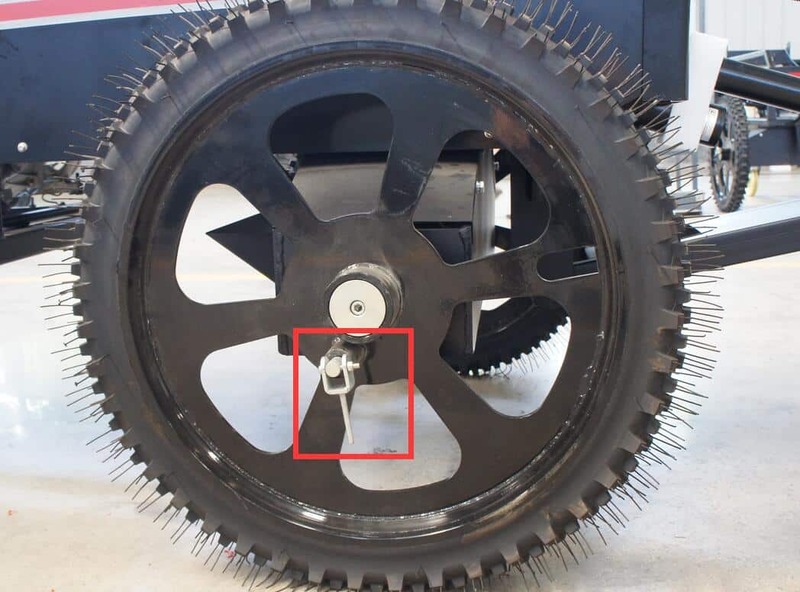 As the picture shown below, there is a bolt device on the wheel of the walk behind laser screed machine. When the plug device goes down, the wheel is fixed on the power system of the machine and only when the power system moves, the wheel will move. 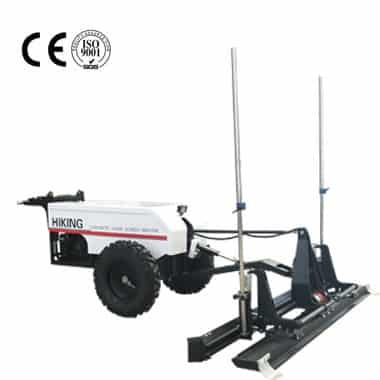 When the plug device is lifted, the motion of the wheel is not controlled by the power system, and you can drive the machine to walk freely. 4. 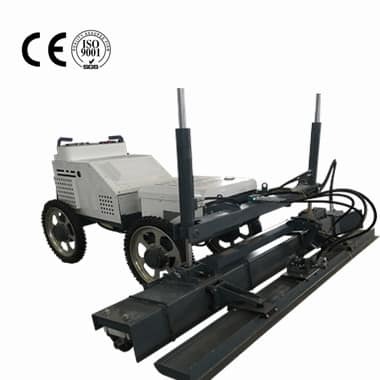 The high-pressure cleaner, you can use it by connecting it with the laser screed machine. 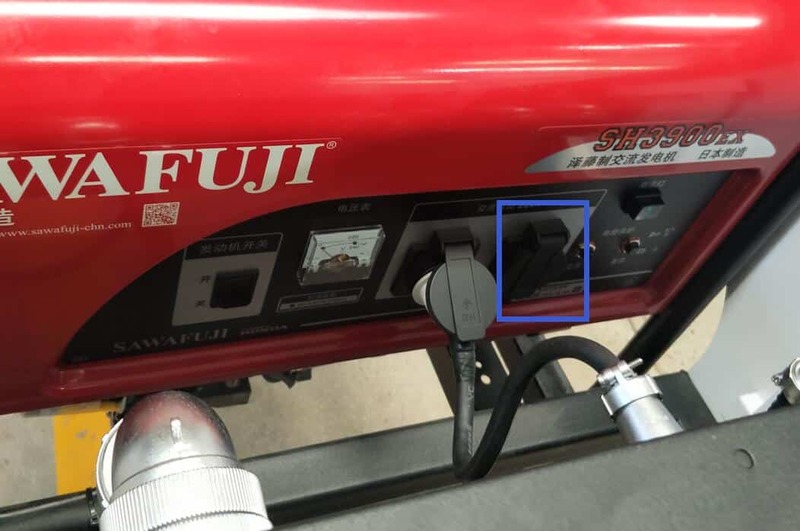 When using it, plug it into the plugging ports on the back of the machine(in the picture), and switch the machine to power supply mode. 5. 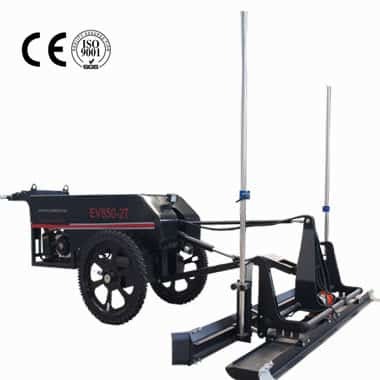 When choosing between the wide wheel and the narrow wheel, you should be fine with the narrow wheel most of the time except when you are running the machine on the double-layer steel mesh. For the normal single layer steel mesh, the narrow wheel should work fine. 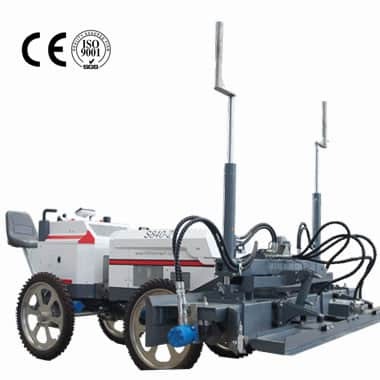 a.The new walk behind laser screed machine usually changes the oil within 50 hours, and then every hundred to every 130 hours. b.The transmitter and receiver are strictly prohibited from falling. 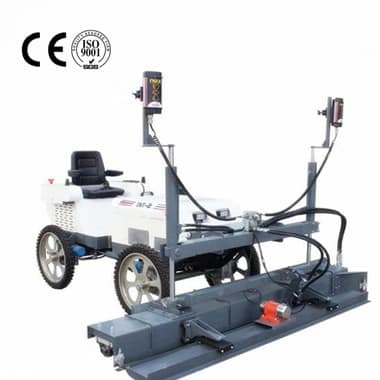 c.It is better to wipe a layer of waste oil on the leveling head before the machine is used so that it will be convenient to be clean it up later. 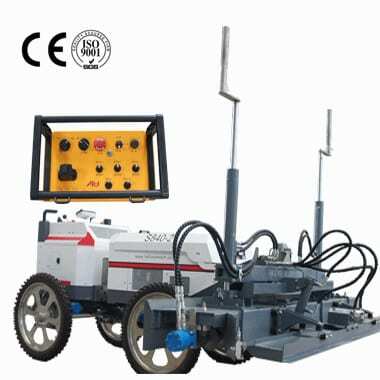 d.After using the walk behind laser screed machine, please clean up the remaining concrete in time.